When the Philadelphia Flyers introduced Gritty, their new mascot with wild eyes and orange fur, the reaction wasn't exactly positive. Once the rest of the country started hating on Gritty, though (see here, here and here), Philly stepped up and embraced him with open arms. 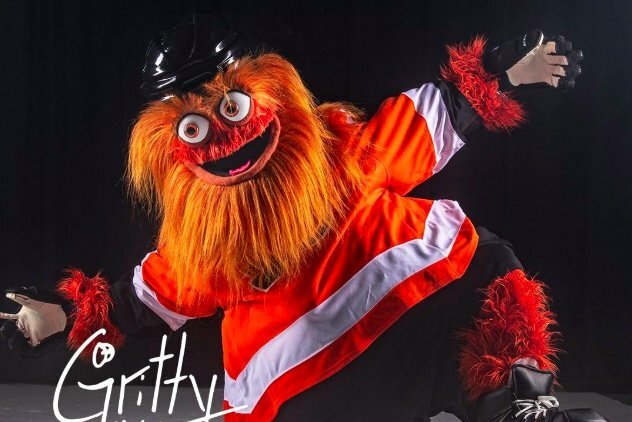 RELATED: Trump visits Philly, and Gritty becomes a symbol of the protest | Man inside Flyers' original mascot, Slapshot, has some advice for Gritty | True Gritty: What the Flyers don't want you to know about their nightmarish new mascot | Bucks County hoagie joint debuts limited edition "Wentzel Dip Sandwich"
Now, there's Gritty-themed beer, a Gritty bobblehead and people are getting Gritty tattoos. What's next? A cheesesteak inspired by the beloved mascot. Joe’s Steaks & Soda Shop has created the "Gettin' Gritty Wit It." 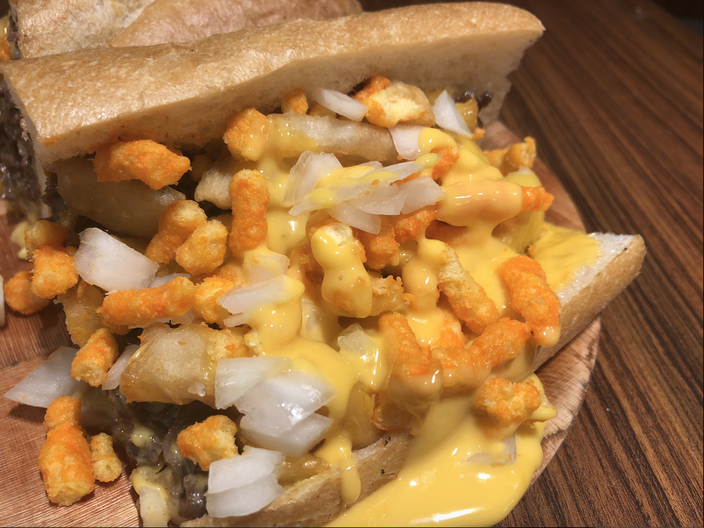 The cheesesteak is topped with prime steak meat, whiz, French fries and Cheetos – you know, to make it orange and weird like Gritty. Joe’s Steaks will start serving the (delicious? nightmarish?) cheesesteak on Tuesday, Oct. 9, in celebration of the Flyers’ season home opener. "Gettin' Gritty Wit It" will be available during every game, home or away, for $9.25. Find it at both Joe's Steaks locations: 6030 Torresdale Ave. and 1 W. Girard Ave. Check out a couple of photos of the cheesesteak below. This cheesesteak is topped with prime steak meat, whiz, French fries and Cheetos. 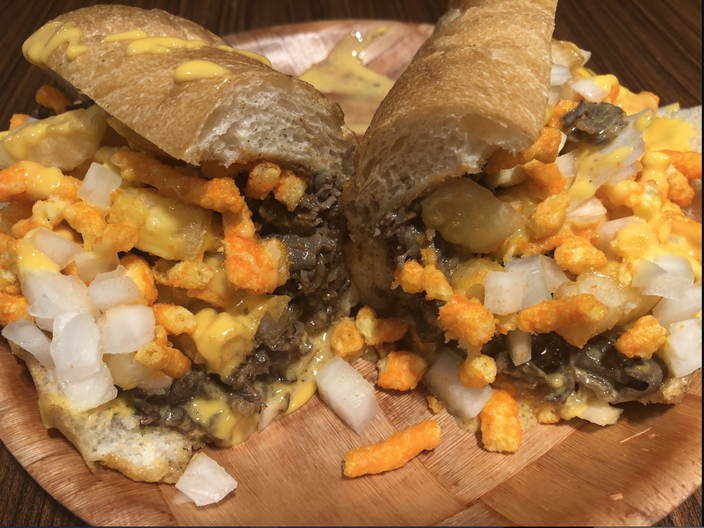 Meet Gettin' Gritty Wit It, the newest specialty sandwich from Joe’s Steaks & Soda Shop.